Babyfaze releases song ‘Pray for Naija’ ahead of General elections* – Royal Times of Nigeria. The song, according to Babyfaze is to contribute his own quota to the democratic ideals of Nigeria as the General election draws nearer. Pray for Naija is to sensitize the electorates on the need to vote for the right people, avoid exchange of vote for cash, shun violence and above all, pray for the nation, Nigeria. The song by the graduate of Olabisi Onabanjo University featured Saint Ola, 2SM and KMerit. 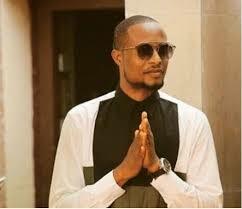 The Osun state born musician says Pray for Naija is off his EP tracks which is due for release soon. The EP includes his hit tracks Iyawo, Shina, Jeje and many more.